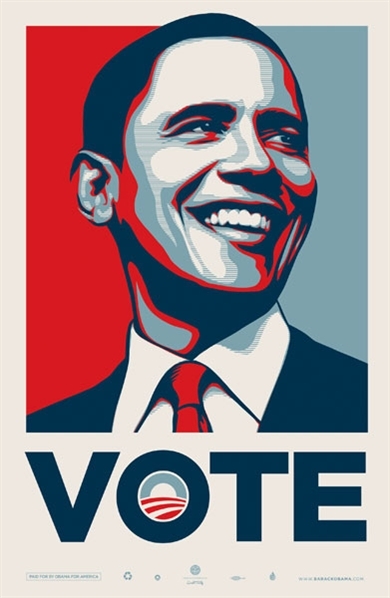 The much anticipated Shepard Fairey x Obama Vote Print is now up for sale on the Obama site.Â For those who want a piece of history, it might be best to head over there now to make your purchase.Â Don’t forget to use the “25off” coupon code to get 25% off your purchase. Categories: Art, Releases, Street & Urban Art. Tags: Fairey-DC, Obama, Prints, Shepard Fairey, Street & Urban Art.